Michigan, E. by Indiana, from which it is separated in part by the Wabash river, S. E. and S. by Kentucky, from which it is separated by the Ohio, and S. W. and W. by Missouri and Iowa, from which it is separated by the Mississippi. The state is divided into 102 counties, viz. : Adams, Alexander, Bond, Boone, Brown, Bureau, Calhoun, Carroll, Cass, Champaign, Christian, Clark, Clay, Clinton, Coles, Cook, Crawford, Cumberland, De Kalb, De Witt, Douglas, Du Page, Edgar, Edwards, Effingham, Fayette, Ford, Franklin, Fulton, Gallatin, Greene, Grundy, Hamilton, Hancock, Hardin, Henderson, Henry, Iroquois, Jackson, Jasper, Jefferson, Jersey, Jo Daviess, Johnson, Kane, Kankakee, Kendall, Knox, Lake, La Salle, Lawrence, Lee, Livingstone, Logan, McDonough, Mcllenry, McLean, Macon, Macoupin, Madison, Marion, Marshall, Mason, Massac, Menard, Mercer, Monroe, Montgomery, Morgan, Moultrie, Ogle, Peoria, Perry, Piatt, Pike, Pope, Pulaski, Putnam, Randolph, Richland, Rock Island, St. Clair, Saline, Sangamon, Schuyler, Scott, Shelby, Stark, Stephenson, Tazewell, Union, Vermilion, "Wabash, "Warren, Washington, Wayne, White, Whitesides, Will, Williamson, Winnebago, and Woodford. Springfield, near the geographical centre of the state, lat. 39° 48' N., Ion. 89° 45' W., is the seat of government; it is situated in the midst of a fine agricultural district, and has an active trade, being well supplied with railroad transportation. 54,671 were white males, and 69,053 white females; 4,924 were colored males, and 5,024 colored females; 12,525 were from 10 to 15 years old, 15,340 from 15 to 21, and 105,709 21 and over, of whom 40,081 were white males, 56,857 white females, 3,969 colored males, and 4,082 colored females. The proportion of illiterates 10 years of age and upward to the total population of the same age was 7.38 per cent., being 6.29 for males and 8.59 for females. The proportion of illiteracy among adults was 7.16 per cent. for males and 11.16 for females. The number of persons supported by public charity during the year ending June 1, 1870, was 6,054, at a cost of $556,061; there were receiving support June 1, 1870, 2,363, of whom 1,254 were native and 1,109 foreign born. The number of persons convicted of crime during the year was 1,552. Of the total number (1,795) in prison June 1, 1870, 1,372 were native born and 423 foreigners. There were 1,042 blind, 833 deaf and dumb, 1,625 insane, and 1,244 idiotic. Of the total population 10 years old and over (1,809,606), there were engaged in all occupations 742,015; in agriculture, 376,441, including 133,649 agricultural laborers, 240,256 farmers and planters, and 2,162 gardeners and nurserymen; in professional and personal services, 151,931, of whom 3,192 were clergymen, 44,903 domestic servants, 431 journalists, 63,130 laborers not specified, 2,683 lawyers, 4,861 physicians and surgeons, 8,869 teachers not specified; in trade and transportation, 80,422; and in manufactures and mechanical and mining industries, 133,221, of whom 9,412 were blacksmiths, 6,279 boot and shoe makers, and 23,040 carpenters and joiners. The total number of deaths from all causes, as reported by the census of 1870, was 33,672, the percentage of deaths to the population being 1.33; from consumption, 3,641, there being 9.2 deaths from all causes to 1 from consumption. There were 2,882 deaths from pneumonia, 2,162 from scarlet fever, 888 from intermittent and remittent fevers, and 2,551 from diarrhoea, dysentery, and enteritis. - Illinois occupies the lower part of that inclined plane of which Lake Michigan and both its shores are the higher sections. Down this plane in a very nearly S. W. direction the principal rivers have their courses to the Mississippi. The lowest section of this plane is also the extreme S. angle of the state, and is only 340 ft. above the gulf of Mexico. The greatest elevation of the country is 1,150 ft., and the mean elevation about 550 ft., above tide water. Next to Louisiana and Delaware, indeed, Illinois is the most level state of the Union. A small tract in the N. W. corner of the state around Galena, which includes the lead mines, is hilly and somewhat broken, and there are bluffs on the Mississippi and Illinois rivers; but by far the greater portion of the surface consists of vast level or gently undulating prairies. A low mountain ridge extends across the S. end of the state, from Grand Tower on the Mississippi to Shawneetown on the Ohio, constituting the fruit region of southern Illinois. The chief rivers within the state are the Rock, Illinois, and Kaskaskia, affluents of the Mississippi; the Embarras and Little Wabash, tributaries of the Wabash; and the Saline and Cash, which fall into the Ohio. The Illinois is much the largest of these; its constituents are the Kankakee from Indiana and the Des Plaines from Wisconsin, and in its entire course of nearly 500 m. (245 navigable) to the Mississippi it receives the Fox and Spoon rivers and Crooked creek from the right, and the Vermilion, Mackinaw, Sangamon, etc, from the left. It has a wide deep bed, and in some parts opens into broad and lake-like expanses. Rock river also rises in Wisconsin, and has a course of 800 m. to the Mississippi; it is imperfectly navigable for 75 m., and its upper course is impeded by rapids. The Kaskaskia has its sources in Champaign co. (in which also rise the Sangamon, Embarras, and the southern constituents of the Vermilion), and pursues a direction nearly parallel with the Illinois; it has a length of 250 m. The Big Muddy, an affluent of the Mississippi, between the Ohio and the Kaskaskia, is also a considerable stream. The rivers flowing into the Ohio and Wabash are generally of less volume than the smaller class of streams flowing into the Mississippi, but several are navigable. Chicago river falls into Lake Michigan; it is formed by the union of its N. and S. branches about 1 m. from the lake. Both branches are deep (12 to 15 ft.), and in connection with the main river form a spacious harbor, which has been much improved by the extension of piers far into the lake. The S. branch is connected with the navigable Illinois at Peru by the Illinois and Michigan canal, 96 m. long. - Notwithstanding the general uniformity of the surface, Illinois is not destitute of interesting scenery. The river bluffs contrast strikingly with the smooth prairies. The most remarkable of these elevations are on the Mississippi, and are from 100 to 400 ft. high. Fountain bluff in Jackson co. is oval, 6 m. in circuit and 800 ft. high; the top is full of sink holes. Starved Rock and Lover's Leap are eminences on the Illinois; the first named is a perpendicular mass of limestone and sandstone, 8 m. below Ottawa, rising 156 ft. above the river, and the latter a ledge of precipitous rocks some distance above Starved Rock. Nearly opposite Lover's Leap is Buffalo Rock, 60 ft. high, precipitous toward the river, but sloping inland. The Cave in the Rock, in Hardin co., on the Ohio, presents on approach a vast mass of rocks, some resembling castellated ruins, and others jutting out in a variety of forms. The entrance to the cave, which is little above high water, is a semicircular hole 80 ft. wide and 25 ft. high, and the cave so far as explored consists of a chamber 80 ft. long, at the end of which is a small opening which probably leads into a second chamber. In the earlier days of settlement it was the abode of bands of robbers and river pirates. - The unbroken surface of Illinois affords a drainage extending from the borders of Lake Michigan toward the west and southwest across the entire state. The post-tertiary clay and sands containing freshwater shells of living species, found a few feet above the level of the lake, and forming its banks, indicate that at no remote geological period the land was somewhat less elevated than at present; and the valley of the Illinois with its strongly marked terraced walls of limestone, so disproportioned to the small river that flows between them, would seem to owe its origin to mightier currents, and to point to a time when the great lakes found an outlet by this way to the Mississippi and the gulf of Mexico. The state has been described and mapped as one great coal field; but as the arrangement of the strata has been more carefully studied, this statement is to be received with some modifications. Still, the prevailing rocks throughout the state are those of the coal measures. They occupy most of the country lying S. of a line traced from the mouth of Rock river E. to La Salle co., and thence S. E., crossing the line of Indiana. The formation covers a large portion of the W. part of Indiana, and stretches S. into Kentucky. Its W. margin is near the Mississippi river, along which a belt of the underlying carboniferous limestone comes up, and cuts off the coal formation on that side. The included area, reckoned as one coal field, covers about 40,400 sq. m., of which 30,000 are in Illinois. The most important veins are from 6 to 8 ft. thick. (See Coal, vol. iv., p. 738.) The importance of the coal beds in Illinois is greatly enhanced by their position, conveniently near the Mississippi or the Ohio, and to the railroads, which traverse the state from N. to S. and from E. to W.; and more than 2,000,000 tons per annum are now mined in the state. The iron ores found in the coal measures are of little value. The N. W. corner of Illinois includes a portion of the great western lead-bearing belt. Though in Illinois but a small district, comprising part of Jo Daviess co., contains the lower Silurian limestones in which the lead ores are found, the mines have proved so productive that the metal ranks as one of the important products of the state. Salt is chiefly a product of the southern section, and is found in springs about the head waters of Big Muddy river, Saline creek, and the Little Wabash. Sulphurous and chalybeate springs exist in several localities. - The soils of Illinois are of diluvial origin, and it is probable that in the early geological ages the whole state was a portion of the bed of a great lake. The prairie soils are deep, fertile, and rockless, and produce a luxuriant growth of native grasses and vegetation, which formerly sustained countless herds of buffaloes. The largest of the prairies is that between the streams flowing into the Wabash and those which enter the Mississippi. This is called the Grand Prairie, but is properly a combination of small prairies partially separated by tracts or groves of timber. The barrens, or oak openings, as they are here called, have frequently a thin soil. In the bottoms or alluvial borders of the rivers the soil is chiefly formed from the deposits of the waters during floods. In some cases the mould so formed is more than 25 ft. deep, and of inexhaustible fertility. One fifth of the alluvial land, however, is unfit for present cultivation, but is productive of timber. A tract called the American bottom, extending along the Mississippi for 90 m., and about 5 m. in average breadth, is of this formation. About the French towns it has been cultivated and produced Indian corn every year without being manured for nearly two centuries. In every part of the state the plough may pass over thousands of acres without meeting even so much as a pebble to impede its course. - The native animals are now almost extinct, but Illinois still has abundance of game, and its northern rivers abound in trout and other fish. The kinds of timber most abundant are oak, black walnut, ash, elm, sugar maple, locust, linden, hickory, pecan, and persimmon. In the south and east yellow poplar and beech are the peculiar growths, and near the Ohio are clumps of a yellow pine and cedar. The bottoms produce cottonwood, sycamore, etc. Illinois indeed is abundantly supplied with timber, but it is unequally distributed, and immense tracts are entirely bare. The fruit trees embrace the apple, peach, cherry, plum, etc, and the grape is largely cultivated. The prevailing winds are N. and N. W. and S. and S. W., the former in the winter months, and the latter during the remainder of the year. The evenness of the surface allows of their free passage, and the atmosphere is in constant motion. Hence the winters are excessively cold, and the summers more than usually hot. The summer heat, however, is greatly modified and refreshed by the ever present breezes; and on the whole the climate is favorable for outdoor occupations, the proportion of clear and cloudy days being about 245 of the former to 120 of the latter. The mean annual temperature on the 40th parallel is about 54°, that of summer 77° and that of winter 33 1/2° F. These figures, however, will vary considerably N. and S. of the parallel indicated; at Beloit on the N. line the mean temperature is 47i°, and at Cairo, the S. angle of the state, 58 1/2°. Vegetation begins with April, and the first killing frosts occur near the end of September. The general salubrity of the climate is well attested; but fevers and fluxes are frequently prevalent in the river bottoms and in the swamps which cover a large part of the southern section. The upland prairies are almost free from endemic disorders. - Illinois is in the front rank of agricultural states. According to the census of 1870, it contained more acres of improved land, and produced more wheat, Indian corn, and oats, than any other state. In the production of barley it ranked next to California and New York; of flax, next to Ohio and New York; of rye, next to Pennsylvania and New York; and of wool, next to Ohio, California, New York, Michigan, and Pennsylvania. In the value of all live stock on farms it was surpassed only by New York, and contained more swine and horses than any other state, more milch cows than any other except New York, Pennsylvania, and Ohio, and more sheep than any other except Ohio, California, New York, Michigan, Pennsylvania, and Indiana. The state contained 10,329,952 acres of improved land, 5,061,578 of woodland, and 1,491,331 of other unimproved land. The total number of farms was 202,803, including 53,240 having from 20 to 50 acres, 68,130 from 50 to 100, 65,940 from 100 to 500, 1,367 from 500 to 1,000, and 302 containing 1,000 acres and over. The cash value of farms was $920,506,346; of farming implements and machinery, $35,576,-587; total amount of wages paid during the year, including value of board, $22,338,767; total estimated value of all farm productions, including betterments and additions to stock, $210,860,585; orchard products, $3,571,789; produce of market gardens, $765,992; forest products, $1,087,144; home manufactures, $1,408,015; animals slaughtered or sold for slaughter, $56,718,944; value of all live stock, $149,756,698. There were 853,738 horses, 85,-075 mules and asses, 640,321 milch cows, 19,-766 working oxen, 1,055,499 other cattle, 1,568,286 sheep, and 2,703,343 swine. The chief productions were: 10,133,207 bushels of spring and 19,995,198 of winter wheat, 2,456,-578 of rye, 129,921,395 of Indian corn, 42,780,-851 of oats, 2,480,400 of barley, 168,862 of buckwheat, 115,854 of peas and beans, 10,944,-790 of Irish and 322,641 of sweet potatoes, 10,486 lbs. of clover seed, 153,464 of grass seed, 280,043 of flax seed, 2,747,339 tons of hay, 465 bales of cotton, 5,249,274 lbs. of tobacco, 5,739,249 of wool, 36,083,405 of butter, 1,161,-103, of cheese, 104,032 of hops, 2,204,406 of flax, 136,873 of maple sugar, 1,547,178 of honey, 146,262 of wax, 1,960,473 gallons of sorghum molasses, 10,378 of maple molasses, 111.882 of wine, and 9,258,545 of milk sold. In 1872 there were 2,093,308 acres of wheat under cultivation; Indian corn, 7,087,040; oats, 1,817,463; meadows, 2,178,237; other field products, 886,166; in enclosed pasture, 3,807,082; in orchard, 320,702; and in woodland, 6,289,236. There were 930,947 horses, assessed at $48,790,933; 2,014,801 cattle, $35,-742,563; 98,316 mules and asses, $5,809,494; 1,092,080 sheep, $2,140,474; hogs, 3,560,083, $11,285,464. - In manufacturing industry, Illinois is also classed among the first states of the Union. According to the census of 1870 it ranked sixth both in the amount of capital invested in manufactures and in the value of products. In the production of grease and tallow Illinois ranks next to New York; in agricultural implements, next to Ohio and New York; in carriages and wagons, next to New York and Pennsylvania; in oil, next to Missouri and Ohio; in saddlery and harness, next to Missouri, New York, and Pennsylvania; in sash, doors, and blinds, next to New York, Pennsylvania, Ohio, and Missouri; in men's clothing, next to New York, Pennsylvania, Massachusetts and Ohio. From the above table it appears that more than one third in value of all the pork packed in the United States in 1870 was contributed by Illinois. Formerly the supremacy in this respect was held by Ohio, in consequence of the magnitude of this industry in Cincinnati; but since 1862-'3 that supremacy has been held by Chicago. According to a careful report prepared for the Cincinnati chamber of commerce by Sidney D. Maxwell, the number of hogs packed in the southern and western states from Nov. 1, 1873, to March 1, 1874, was 5,383,810, the aggregate gross weight of which was 1,444,311,304 lbs. ; of these, 1,870,855, weighing in the aggregate 511,867,475 lbs., were packed in Illinois. The aggregate cost of the hogs was $22,694,399, and the total product of lard 69,808,163 lbs.
" nails and spikes, cut and wrought.
" steam engines and boilers. - Illinois possesses remarkable commercial facilities in the Mississippi and Ohio rivers on its borders, besides numerous internal streams of importance. Bordering for about 70 m. on Lake Michigan, it is favorably situated for the immense lake commerce which centres at Chicago. This comprises not only the vast domestic trade for which this city is noted, but also a considerable foreign trade carried on with Canada and European ports. Provision was made for direct commercial relations between Chicago and foreign ports by the act of July 14, 1870, which authorizes the transshipment in bond of exports and imports to and from the ports of first arrival, without appraisement and payment of duties at such ports. The value of foreign imports received at Chicago under this system during the year ending June 30, 1873, was $3,160,75(3. The total value of foreign imports subject to duty during the year was $3,699,852, on which the duties collected amounted to $1,535,631. The value of domestic produce exported from Chicago to Canada by lake was $7,107,468; the most important items were wheat, $5,737,022, and Indian corn, $1,069,586. The leading article of import from Canada is lumber, of which 7,516,000 ft. was imported in 1873. The total number of vessels belonging to the customs district of Chicago in 1873 was 743, having an aggregate tonnage of 148,595; of these, 101 were sailing, 131 steam, and 511 unrigged vessels. The aggregate number of vessels that arrived was 11,858, having a tonnage of 3,225,911; of these, 22 were American vessels from foreign ports, 189 foreign vessels from foreign ports, and 11,647 were in the coasting trade. The number of clearances was 11,876, of which 483 were for foreign and 11,-398 for domestic ports. Illinois has four ports of delivery, which, with the number and tonnage of vessels registered, enrolled, and licensed in 1873, were: Galena, 60 vessels, 7,781 tons; Quincy, 23 vessels, 2,443 tons; Alton, 5 vessels, 893 tons; Cairo, 36 vessels, 8,221 tons. Ship building is carried on at Chicago, Cairo, and Quincy. In 1873, 21 vessels of 5,499 tons, including 10 sailing and 8 steam vessels, were built at Chicago, 4 at Cairo, and 1 at Quincy. - Illinois contains more miles of railroad than any other state in the Union. In 1850 the number of miles was 111. In the following year the construction of the Illinois Central, from the southern terminus of the Illinois and Michigan- canal to Cairo, was begun, thus opening a channel of communication between Lake Michigan and the Mississippi river. The subsequent growth of the railroad system of the state was rapid. In 1855 there were 887 m.; in 1860, 2,790; in 1865, 3,157; in 1870, 4,823; in 1871, 5,904; and in 1872, 6,361. In 1873 the total mileage of main track completed and in operation, exclusive of double, side, and turnout tracks, was 6,496; in addition to which numerous lines were projected and in progress. The aggregate cost of the roads and equipments was reported by the railroad commissioners at $238,584,541 in 1872, and $278,386,-784 in 1873. In 1872 the capital stock paid in was $140,126,064; funded debts, $111,456,-325; floating debts, 330,173; amount of paid-up stock and debts, $254,912,563. In August, 1873, the length of main track was returned by the state board of equalization at 5,064 m.; assessed at $36,271,184; side, second, or turnout track, 863 m., valued at $4,008,818; value of rolling stock, $15,892,015; total value of property denominated railroad track and rolling stock, $59,317,409; right of way and improvement, 64,733 acres, valued at $3,145,173. This statement does not include the Illinois Central railroad, 705 m.
Length completed in state, mil es. Total length when different from preceding. Total assessed value of railroad track and rolling stock. Dwight to Washington and Lacon.. Leased by Chicago and Alton. Chicago, Burlington, and Quincy (main line). Length completed in state, miles. Total assessed value of railroad trick and rolling stock. St. Louis, Mo., and Indianapolis, Ind.. The state exercises a general supervision over the railroad companies within its limits. In the constitutional convention of 1870 the subject of railroad corporations was thoroughly considered, and a provision was incorporated in the new constitution requiring the legislature to pass laws establishing reasonable maximum rates of charges for the transportation of passengers and freight. In the following year a general railroad law was passed, which, having been pronounced in part unconstitutional by the state supreme court, was repealed, and a new one was passed in 1873. To secure the enforcement of such laws the legislature provided for the appointment by the governor of three railroad and warehouse commissioners, whose duty it is to examine into and report annually concerning the railroad and warehouse interests of the state. By the act of 1873 every railroad company in the state is prohibited, under penalty of fines reaching as high as $25,000 for the fourth offence, from charging more than a reasonable rate for the transportation of passengers or freight, and from making unjust discriminations in freight schedules. The companies are required to report in writing and under oath to the commissioners, and to comply with the schedules of reasonable maximum rates for transporting passengers and freight prepared by the commissioners. The latter are required to see that the law is obeyed, and to bring actions against the companies in case of violation. The navigation of Lake Michigan is connected with that of the Illinois river by the Illinois and Michigan canal, completed in 1848, which extends from Chicago to La Salle, 96 m. The immense commerce which passes through this channel is indicated by the statement that in 1873 not less than 8,000,000 bushels of grain and 50,000,000 ft. of lumber, besides 20,000,000 shingles and laths, passed over the canal. Illinois in 1873 contained 9,545 m. of telegraph lines. The number of national banks in operation was 137, having a paid-in capital of $20,843,000 and a circulation outstanding of $16,326,059. The circulation per capita was $7 02; ratio of circulation to wealth, 0.9 per cent. ; to banking capital, 77.4 per cent. - By the constitution of 1870, the legislative power is vested in a general assembly composed of a senate and house of representatives. The senate consists of 51 members elected for four years, and the house of representatives of 153 chosen for two years. A decennial apportionment, beginning with 1871, is held. Senators must have attained the age of 25 years, and representatives 21 years. Elections for members of the general assembly are held biennially, in even years, on the Tuesday next after the first Monday of November. The sessions are biennial, commencing on the "Wednesday next after the first Monday of January next following the election. Members receive $5 a day and 10 cents for each mile necessarily travelled in going to and from the seat of government, and $50 a session for stationery, etc. Special legislation, which was a source of much mischief under the old constitution, is prohibited in many enumerated cases, and " in all other cases where a general law can be made applicable." The executive department consists of a governor, lieutenant governor, secretary of state, auditor of public accounts, treasurer, superintendent of public instruction, and attorney general, all of whom are elected for four years, except the treasurer, whose term of office is two years, and who is ineligible to the same office for two years next after the expiration of his term. A two-thirds vote of each house is necessary to pass a bill over the veto of the governor. The judicial powers are vested in a supreme, circuit, and county courts, justices of the peace, police magistrates, and certain special courts. The supreme court consists of seven judges, who are elected by the people for nine years, and receive a salary of $4,000 a year. The chief justice is chosen by his associates. There are three grand divisions of the state, southern, central, and northern, in each of which one or more sessions of the supreme court are held annually. The judges of the circuit courts are elected by the people for six years, and receive an annual salary of $3,500. The constitution further provides for the establishment of inferior appellate courts to be held by judges of the circuit courts. To these courts appeals and writs of error in certain cases may be taken from the circuit courts, and from them to the supreme court. Each county has a county court, the judge of which is elected for a term of four years. These courts have original jurisdiction in all matters of probate, but probate courts may be established in any county having a population of over 50,000. There are special courts in Cook county, of which Chicago is the county seat. Imprisonment for debt is prohibited except upon the refusal of the debtor to deliver up his estate for the benefit of his creditors, or in cases where there is strong presumption of fraud. In trials for libel, the truth may be pleaded as a defence in justification. The legal rate of interest, in absence of agreement, is 6 per cent., but 10 per cent. may be agreed upon and collected. The penalty of usury is forfeiture of all the interest. Illinois is represented in congress by two senators and 19 representatives, and is entitled to 21 votes in the electoral college. The receipts into the state treasury for the two years ending Dec. 1, 1872, were $9,899,603, and the expenditures $12,351,746. The chief purposes for which the public money was used during this period were: legislative, $693,062; executive, $180,158; judicial, $394,252; educational, $2,208,264; educational and charitable, $205,-316; charitable, $918,784; penal and reformatory, $369,338; agriculture, $39,007; commerce, $238,661; state indebtedness, $4,983,-379; new state house, $793,641. In 1872 the general assembly provided that the amount of revenue to be raised on the assessment of that and subsequent years should be $1,500,000 for general purposes, to be designated the revenue fund, and $200,000 for payment of interest on the state debt. Included in the valuations of personal property for 1873 is $20,826,462 assessed as valuation on corporations other than railroads. It will be noticed that the valuations for 1873 are largely in excess of any previous year; these results, however, do not represent a corresponding increase in the value of property, but are attributed in a large measure to the operations of a new revenue law. The valuations for 1873 are believed to be about 0.65 per cent. of the cash value of real and personal property, and still nearer the entire value of railroad property. - The charitable and correctional institutions are under the general supervision of the board of state commissioners of public charities, consisting of five members appointed by the governor with the consent of the senate, whose duty it is annually to inspect the state institutions under their charge, together with the various county jails and almshouses, and report upon their condition. The statistics showing the extent and condition of the correctional, charitable, and educational institutions of the state are generally for 1872, the date of the most recent biennial reports. The state penitentiary, which has been at Joliet since 1859, was organized in 1827, and at the beginning of 1873 contained 1,255 convicts, the average number for the year being 1,283. It has recently become self-sustaining under the system of leasing the labor of the convicts; the total earnings in 1872 were $214,593, while the expenses were $36,218 less. Instruction is afforded to the inmates, and there is a library of about 4,000 volumes. The reform school at Pontiac, opened in 1871, has accommodations for about 150 inmates, which are inadequate to the needs of the state. About 900 pupils have been admitted to the institution for the education of the deaf and dumb at Jacksonville since its opening in 1845, and about 300 were receiving instruction from 16 instructors at the beginning of 1874. The course of instruction occupies eight years. Pupils within the state are admitted to the school free of charge, and are supplied with all necessaries except clothing. A prominent feature of the institution is its industrial department. The annual 3ost to the state for each pupil is about $250. Its accommodations are entirely inadequate. The building used for the instruction of the blind, also at Jacksonville, was destroyed by fire in 1869; new buildings for purposes of instruction and workshops are in process of construction, with grounds comprising 18 acres. In 1874 about 70 pupils were receiving instruction from four teachers; the course of instruction is five years. The charitable eye and ear infirmary, created in 1865, is an efficient institution, affording gratuitous medical treatment to all applicants who are citizens of the state. The foundations for a neat, substantial edifice for this institution have been laid in the West Division of Chicago. Provision is made for the insane by the hospital at Jacksonville, the northern asylum at Elgin opened in 1872, and the southern asylum at Anna opened in 1873; the two latter are in process of construction. At the close of 1872 the northern asylum had 183 inmates and the southern 75. The hospital at Jacksonville is constructed on the corridor plan, is five stories high, and comprises a central building with two wings. The accommodations were intended for about 400 patients, though the average number for two years has been 450. The grounds comprise 160 acres. The whole number of patients admitted since the opening of the hospital in 1851 has been 4,527, of whom 1,685 were discharged recovered, 606 improved, and 400 unimproved; 328 improved and unimproved were discharged by order of the trustees, and 467 died. The superintendent of this institution estimates the number of insane in the state at 2,529, or 1 in every 1,000 inhabitants. The hospital accommodations of the state are greatly inadequate to this number. Those under treatment cost the state about $250 a year each. The manner of committing insane persons to the hospital is by jury trial in the county courts. According to the state board of public charities, the proportion of idiots in the state is at least as large as that of the insane. The institution for the education of feeble-minded children at Jacksonville was created in 1865, and has accommodations for about 100. 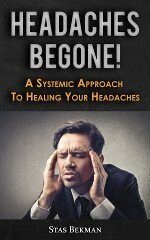 Only those whose condition can be improved are admitted. The success of the institution and the importance of providing this kind of instruction have recently led to efforts which will result in largely increased facilities for improving this class of unfortunates. The home for the children of deceased soldiers, at Normal, opened in 1867, comprises three main buildings and 80 acres of land. Here support and instruction are afforded to children of this class under 16 years of age. The average attendance during 1873 was 306, while the number of inmates at the close of the year was 326. The current expenses for the year amounted to $58,389. Besides supporting this institution, the state has aided the soldiers' college at Fulton and the soldiers' home in Chicago, both of which are private institutions. - An efficient system of free schools is provided for all the children of the state, but the constitution prohibits appropriations of public money for sectarian schools. The educational interests of the state are under the general supervision of the superintendent of public instruction. The tax that may be levied in any district for all current school expenses is limited to 2 per cent. for educational and 3 per cent. for building purposes upon the assessed value of the taxable property of the district. Every district is required to maintain a free school at least five months in the year as a condition of receiving a share of the state school funds. Examinations of teachers are held and certificates issued by the county superintendents, and only teachers having such certificates are employed in the public schools. A marked feature recently introduced into the educational system of this state is the requirement making the elements of natural science a part of the common-school course. The permanent school funds of the state comprise: 1, the school fund proper, being 3 per cent. upon the net proceeds of the sales of the public lands in the state, one sixth part excepted; 2, surplus revenue, derived from the distribution in 1836 of the surplus revenue of the United States; 3, the college fund, being one sixth of the 3 per cent. fund originally required by congress to be devoted to the establishment and maintenance of a state college or university; 4, the seminary fund, derived from sales of lands granted to the state by the general government for the establishment of a state seminary; 5, county funds, created by the legislature in 1835; 6, township funds, arising from the sales of public lands granted by congress for common-school purposes. The aggregate amount of these funds on Sept. 30, 1872, was $6,382,248, as follows: school fund proper, $613,363; surplus revenue, $335,592; college fund, $156,613; seminary fund, $59,839; county funds, $348,285; township funds, $4,868,555. The total income for school purposes in 1872 from these funds and the current school funds was $7,500,122; the chief items of the income from current funds being $900,000 from the two-mill tax, and $5,292,942 raised by ad valorem tax in the districts for general purposes. The state normal university, for the training of teachers, at Normal, was organized in 1857, and comprises, besides the usual departments, a model school. The course of instruction is three years, upon the completion of which a diploma is conferred. In 1873 there were 13 instructors, besides a large number of pupils acting as teachers, and 730 pupils, of whom 437 were in the normal and 293 in the model school. The southern Illinois normal university, at Car-bondale, was completed in 1874. In addition to these state institutions, there are county normal schools in Cook and Peoria counties, a German-English normal school at Galena, and normal departments Connected with several other institutions. For the further instruction of teachers, numerous county institutes are held, besides occasional sessions of the state teachers' institute. The Illinois industrial university, opened in 1868, is both state and national, having been organized by the legislature, and having received the national grant of lands intended for the establishment of colleges of agriculture and the mechanic arts. This institution is situated at Urbana, where it has one of the finest buildings of the kind in the country, being four stories high and 214 ft. long, with a depth on the wings of 122 ft. The grounds comprise 623 acres, including stock farm, experimental farm, orchards, gardens, nurseries, forest plantations, arboretum, botanic garden, ornamental grounds, and military parade ground. The property and funds of the university amount to nearly $800,000. Students of both sexes are admitted. The university embraces a college of agriculture, comprising a school of agriculture proper and a school of horticulture and fruit growing; a college of engineering, with schools of mechanical science, civil and mining engineering, and architecture; a college of natural science, with schools of chemistry and natural history; and a college of literature and science, with a school of English and modern languages and one of ancient languages and literature. There are also schools of commerce, military science, and domestic science and arts. Entire freedom in the choice of studies is allowed to each student; but the completion of one of these courses or the prescribed equivalents is necessary to graduation. The number of pupils in 1873 was 402, of whom 74 were females. The Illinois agricultural college, at Ir-vington, organized in 1866, had 226 students and 6 instructors in 1873. The course of instruction is four years. Besides the buildings in use, the institution has 550 acres of land. Chicago medical college (Northwestern university). - According to the census of 1870, the number of libraries was 13,570, containing 3,323,914 volumes. Of these, 9,865 with 2,399,369 volumes were private, and 3,705 with 924,545 volumes other than private, including 79 circulating libraries containing 75,352 volumes. The largest libraries in the state were destroyed by the great Chicago fire in 1871. The chief libraries reported by the United States bureau of education in 1872 were that of the Northwestern university at Evanston, containing 22,000 volumes; the state library in Springfield, 15,000; that of the Baptist union theological seminary in Chicago, 15,000; the Hengstenberg library (university of Chicago), 13,000; that of the Illinois industrial university at Champaign, 10,000; Illinois college, Jacksonville, 8,000; McKendree college, Lebanon, 8,000; Augustana college, Paxton, 7,000; and the mercantile library, Peoria, 7,000. The state law library in Springfield contains 3,000 volumes, and the Chicago public library (1874) about 40,000. The total number of newspapers and periodicals reported by the census of 1870 was 505, with an aggregate circulation of 1,722,541, and issuing 113,140,492 copies annually. Reformed Church in America (late Dutch Reform'd). - Illinois takes its name from its principal river. According to Albert Gallatin, the term is derived from the Delaware word leno, leni, or illini, meaning real or superior men, the termination being of French origin. The first settlements were made by the French, and were the consequence of the enterprises of Marquette (1673) and La salle- The latter traveller set out from Canada in 1679, and passing across the lakes descended the Illinois river. After examining the country, with which he was highly pleased, he returned to Canada, leaving the chevalier de Tonti in command of a small fort he had built at the foot of Lake Peoria and named Crevecoeur. In 1682 he returned to Illinois with a colony of Canadians, and founded Kaskaskia, Cahokia, and other towns. At the beginning of the 18th century the settlements in Illinois are represented to have been in a flourishing condition, and the country was described by French writers as a new paradise. As the colonies of France and England extended, disputes arose respecting boundaries, and these ultimately led to the war which virtually ended with the capture of Quebec, and which in 1763 terminated the French dominion over any part of the country E. of the Mississippi. During the continuance of Illinois as a British dependency nothing of importance appears to have occurred, nor were the French settlements molested. After the peace of 1783, which closed the American revolution, the Illinois country was ceded to the United States; and by the ordinance of July 13, 1787, the whole of the public domain N. of the Ohio river was erected into the Northwest territory under a single government. In 1800 the territory contained a population of 50,240, and in the same year Ohio was erected into a separate territory. A further severance was made in 1805, when the territory of Michigan was formed, and again in 1809 Indiana was divided off. The Illinois territory at this time included what are now the states of Illinois and Wisconsin and a part of Minnesota, and by the census of 1810 was found to contain 12,282 inhabitants. Hitherto the settlement of these territories had been greatly impeded by Indian hostilities, and indeed the early history of Illinois is one continued narrative of contests with the savages. Among the prominent events of this period is the massacre near Fort Chicago, Aug. 15, 1812. When hostilities finally ceased, population began to flow in from the eastern states. 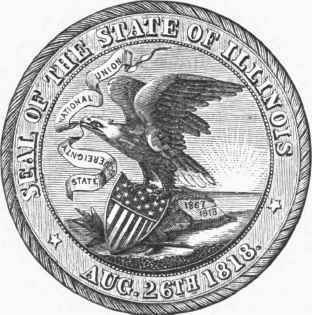 On Dec. 3, 1818, Illinois with its present limits was admitted as a state into the Union. The census of 1820 returned 55,211 inhabitants. During the succeeding decade immigration increased rapidly, and in 1830 the population was ascertained to be 157,445, or an increase of 185.2 per cent. over that of 1820. In 1831 the Sac and other Indian tribes began to be troublesome, and in 1832 the Black Hawk war broke out. The alarm caused by these hostilities was great, but the result was ultimately beneficial to the state; not only was a permanent peace conquered, but the officers of the army on their return reported so favorably of the character and resources of the country, that general attention was directed to the state. Shortly afterward congress granted an appropriation for the improvement of Chicago harbor, and about this time the Illinois and Michigan canal was projected, and the state bank brought into successful operation. On July 4, 1836, the construction of the canal was commenced. The succeeding year brought the greatest financial revulsion in our history, and in this no state was more seriously involved than Illinois. Every interest was prostrated, and all works of internal improvement abandoned. The progress of the state, however, had been rapid, and by the census of 1840 the population numbered 476,183, being an increase of 203.4 per cent. over that of 1830. In this year the Mormons established themselves at Nauvoo, and were from the first disliked by their neighbors. Mutual hatred ended in open hostilities, and at length the brothers Joseph and Hyrum Smith (the first named the founder of Mormonism) were arrested, and while confined in Carthage jail were murdered by a mob, June 27, 1844. This was soon followed by a general exodus of the Mormons, who now numbered about 20,-000, toward Utah. In 1847 a new constitution was framed, which went into operation in the following year. The census of 1850 showed a population of 851,470, an increase of 80.7 per cent. in the decade. This was a much lower rate of increase than had hitherto been maintained, but was still a rapid growth. In the mean while emigration had been directed to Iowa and Wisconsin. But a new era of prosperity was now opening for Illinois. In the same year congress made a munificent grant of land in aid of the construction of the Central railroad, which was completed in 1856. The country along both sides of its route has been rapidly settled, cities and towns have risen with remarkable rapidity, and the prosperity of the state through the influence of this and other great works simultaneously completed has become so general that the last acre of government land in Illinois has been disposed of. In December, 1869, a constitutional convention assembled, and in May following agreed upon the present constitution, which was ratified July 2. In this instrument the system of " minority representation " in the election of members of the house of representatives was incorporated, it being provided that "in all elections of representatives aforesaid, each qualified voter may cast as many votes for one candidate as there are representatives to be elected, or may distribute the same, or equal parts thereof, among the candidates, as he shall see fit; and the candidates highest in votes shall be declared elected." - A "History of Illinois, 1673-1873," by Alexander Davidson and Bernard Stuve, was published in 1874, and is authority for some of the statements here made. Illinois (a river of the United States, and the largest in the state to which it gives its name. It is formed in Grundy co., in the N. E. part of the state, about 45 m. S. W. of Lake Michigan, by the union of Kankakee and Des Plaines rivers, the former of which rises in the N. part of Indiana and the latter in the S. E. part of Wisconsin. The Kankakee receives the Iroquois, and from that point to its junction with the Des Plaines is sometimes known as the Iroquois. The Illinois flows nearly W. to Hennepin, in Putnam co., and thence S. W. and finally S. until it unites with the Mississippi between Calhoun and Jersey counties, 20 m. above the mouth of the Missouri. It is about 500 m. long, and is navigable at high water for 245 m. It is deep and broad, in several places expanding into basins which might almost be called lakes. Peoria, the most important city on its banks, is built on the shore of one of these basins. Its principal affluents are the Fox, Spoon, Crooked creek, the Mackinaw, Sangamon, and Vermilion. Above the mouth of the Vermilion, in La Salle co., it is obstructed by rapids, and a canal has been built from this point to Chicago, a distance of 96 m.
Uninterrupted water communication is thus secured between the lakes and the Mississippi. The Illinois was ascended by Marquette in 1673, and explored in 1679-'80 by La Salle and Hennepin, who entered it by the Kankakee, which they reached from Lake Michigan by means of the St. Joseph river and a short portage, and sailed in canoes, La Salle as far as the present site of Peoria, and Hennepin to the Mississippi. In 1682 La Salle navigated the whole course of the river.